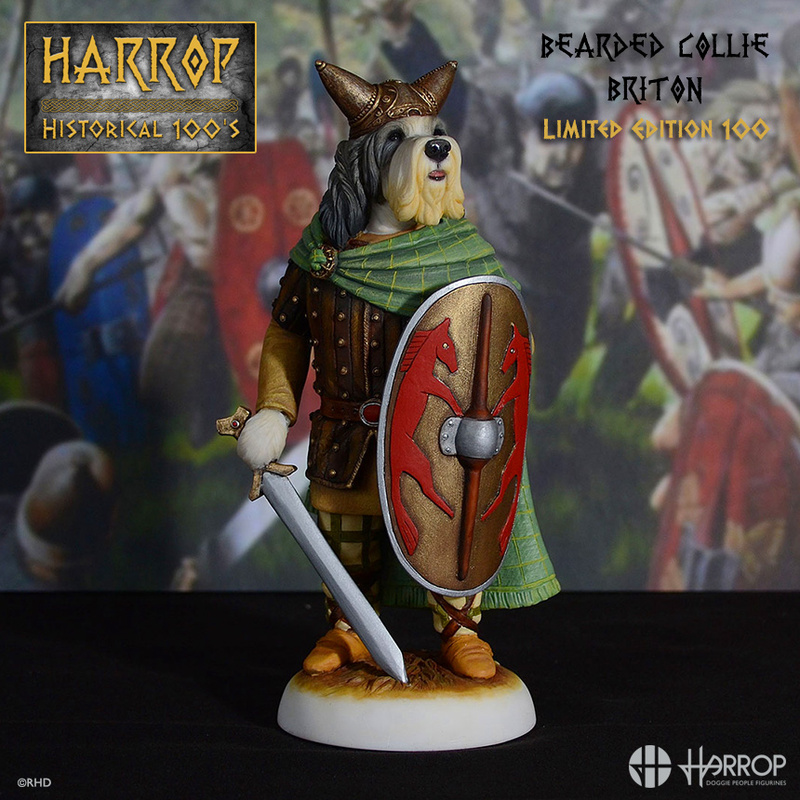 DP289 – Bearded Collie – King Caractacus.. 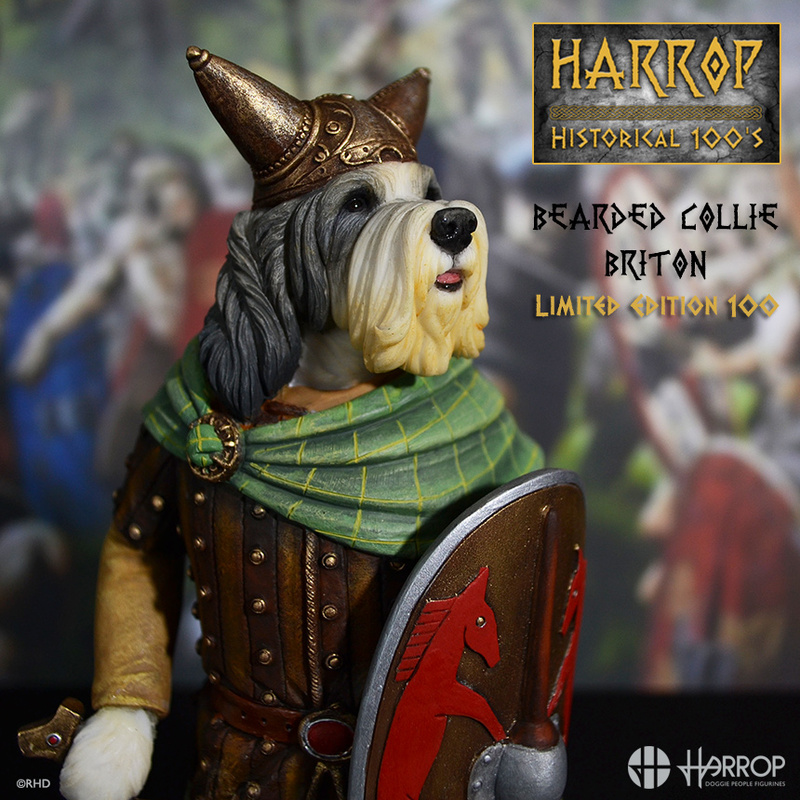 Introducing our new Bearded Collie Caractacus, King of the Catuvellauni tribe, and first figurine in our Harrop Historical 100 series. 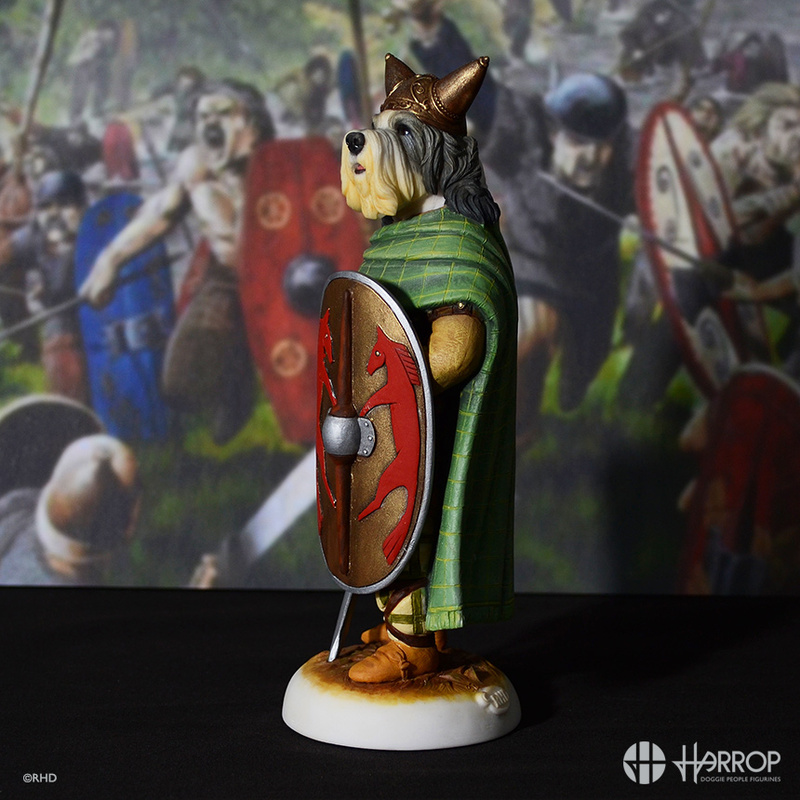 He was a stalwart warlord of the Britons who with stealth and ferocious intelligence kept the Roman military machine looking over their shoulders in around 40 to 50AD. 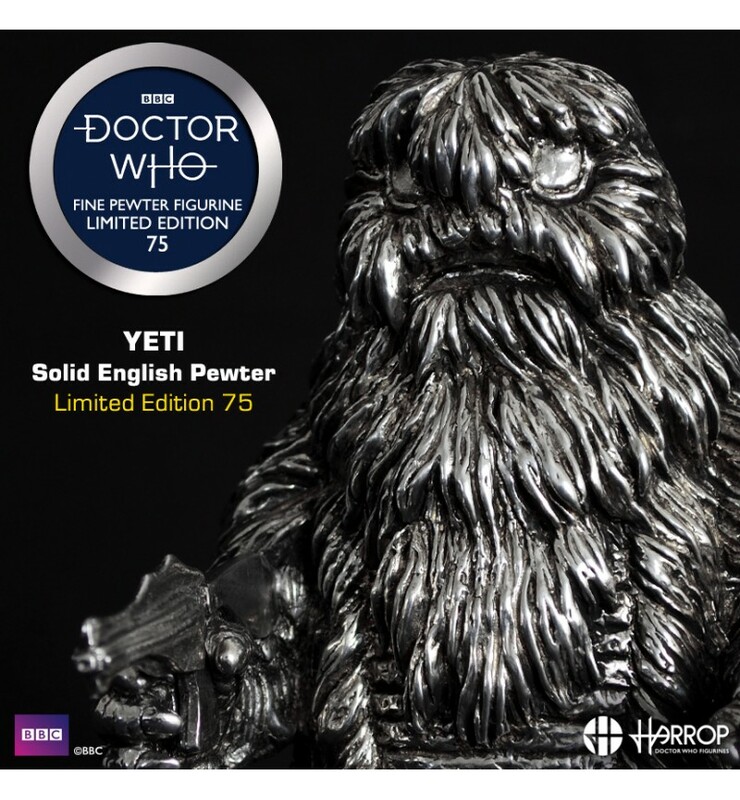 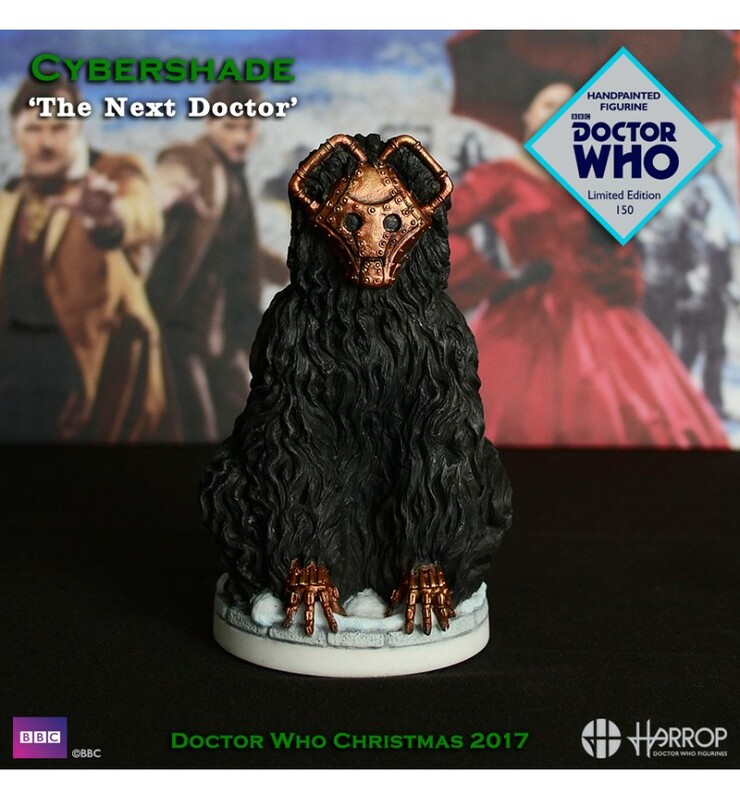 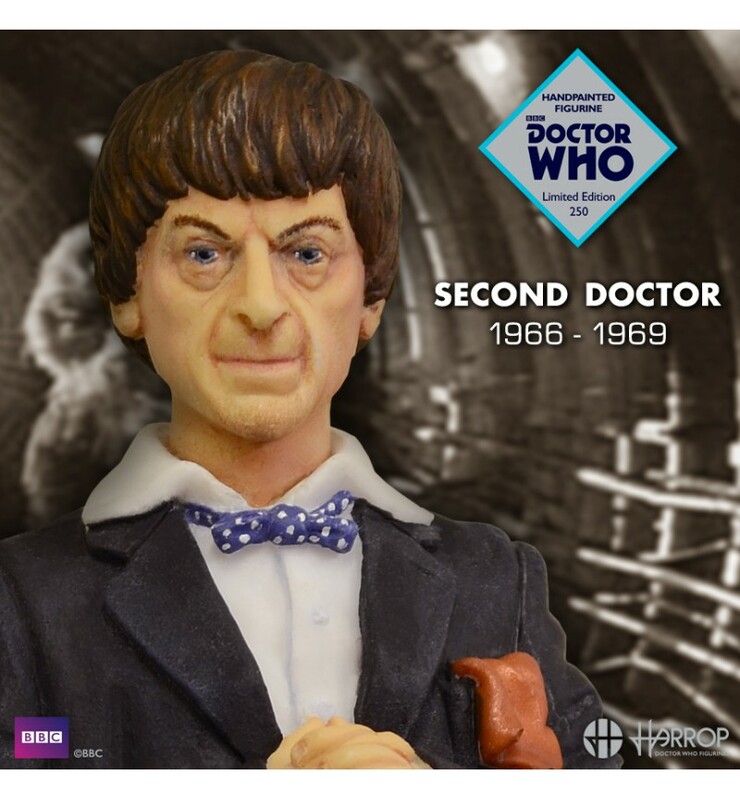 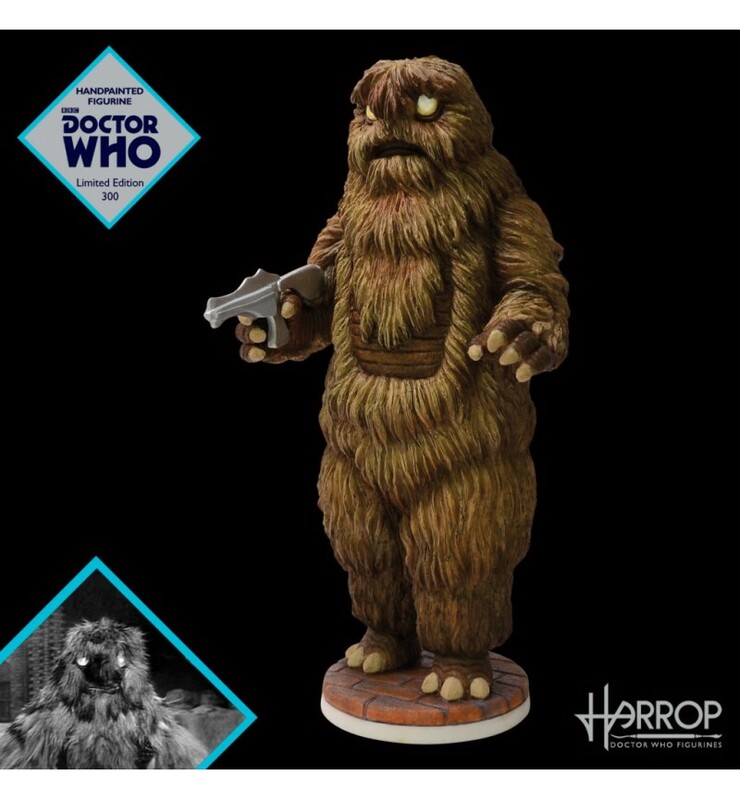 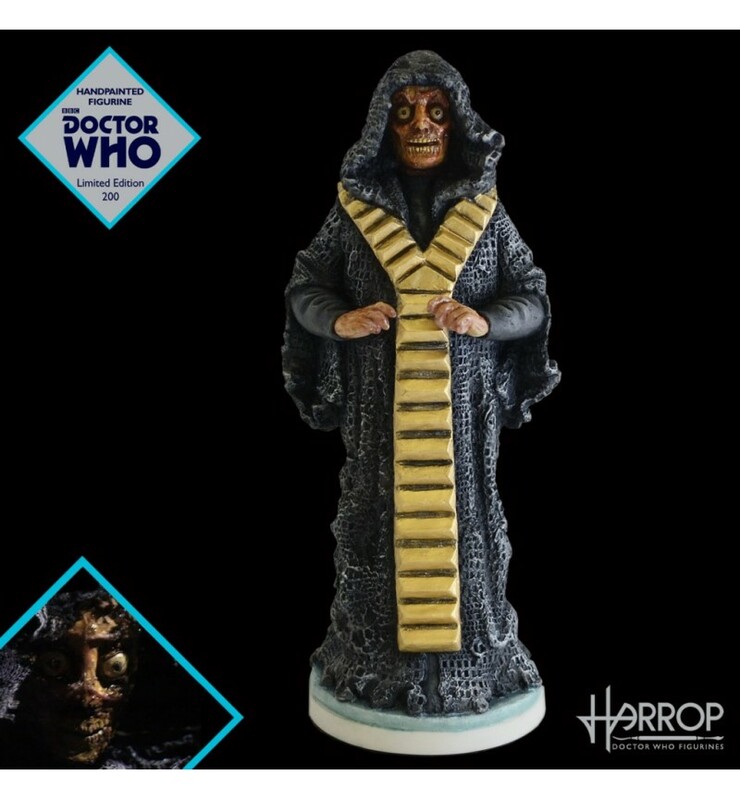 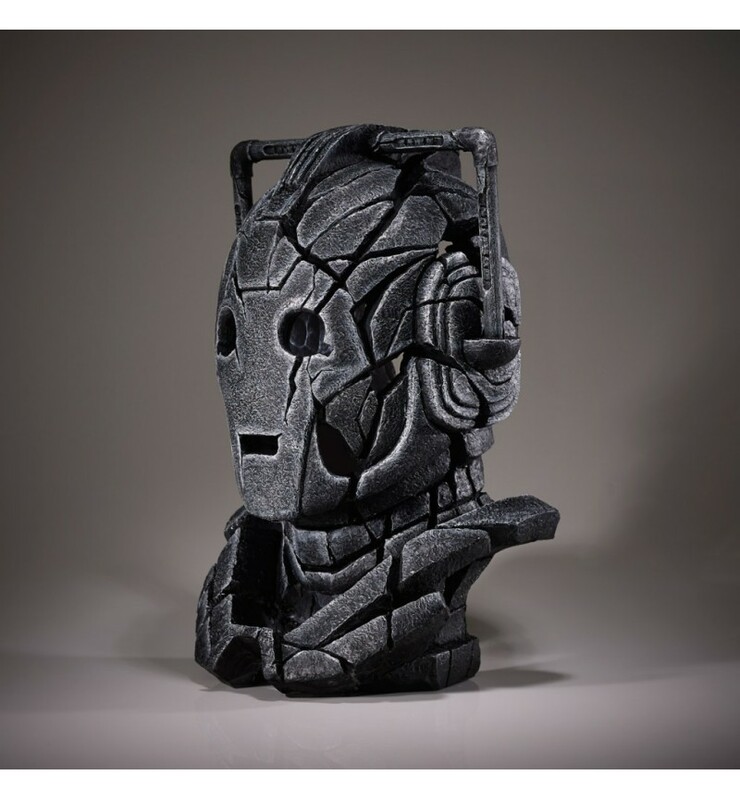 A Limited Edition of only 100 figurines, and to mark its provenance, each exclusive piece will be hand numbered on the base with a unique edition number and will come complete with a Certificate of Authenticity! 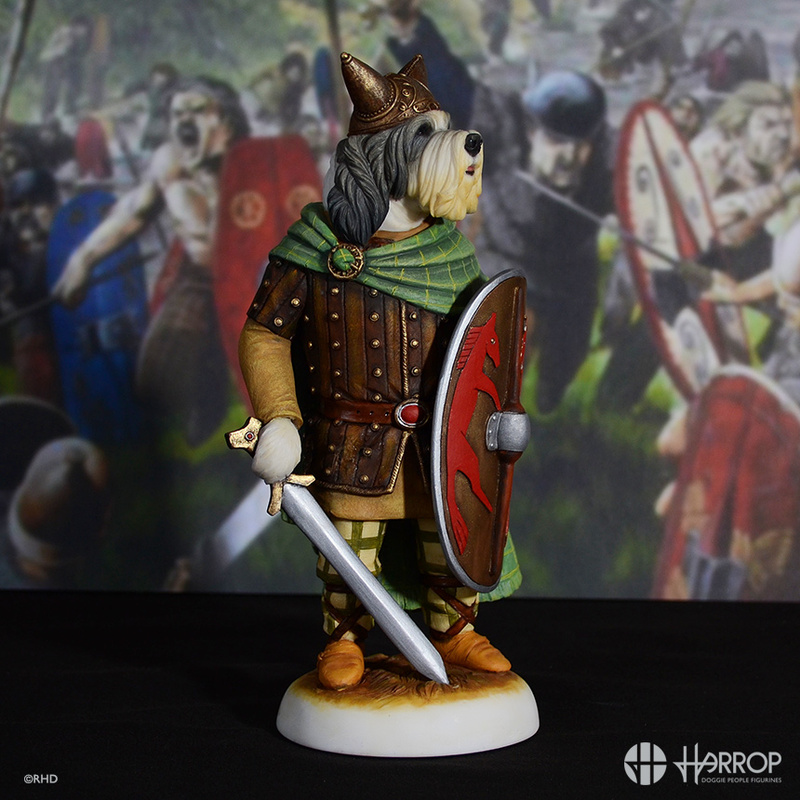 It may very well seem to have been quiet with news on the 'Doggie People' front, however here at the Harrop Sculpting Studio nothing could be further from the Truth. 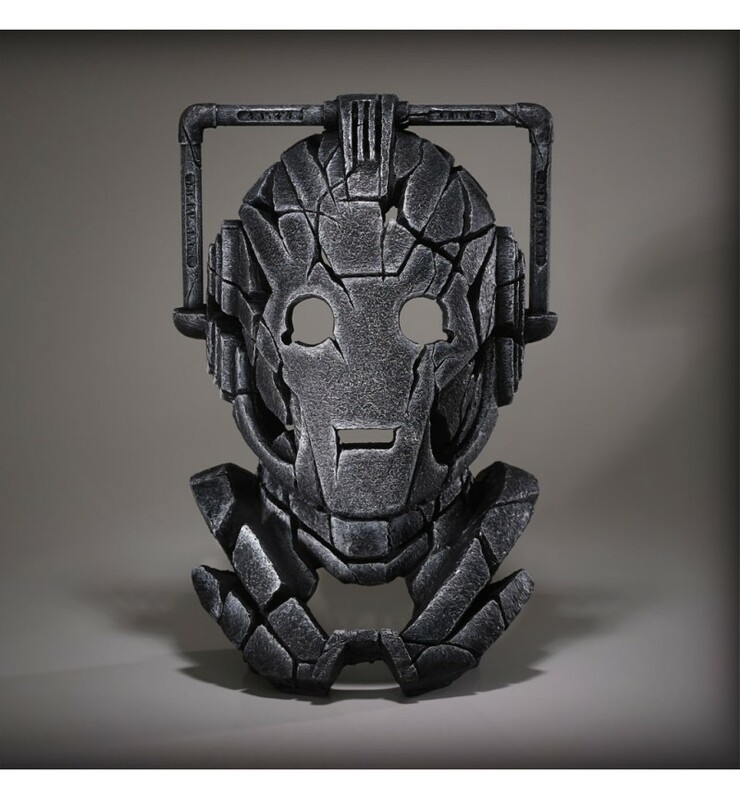 We have in fact been working possibly even harder with both our research and development to produce pieces that not only contain beautiful detail but also represent a real sense of history with them. 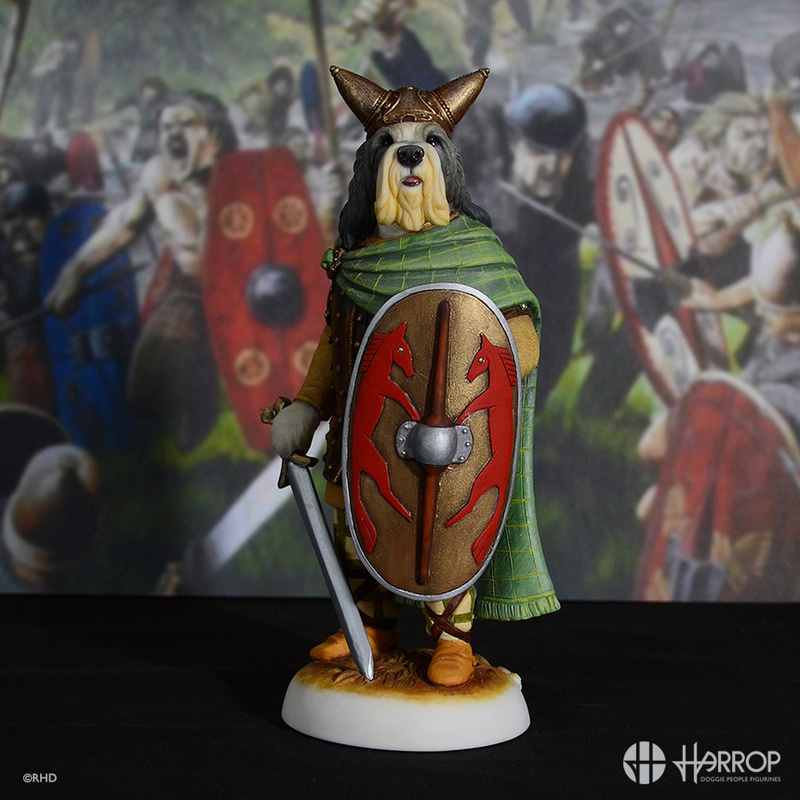 We have decided that we will be working on famous and infamous figures from Ancient Briton and its illustrious Isles with all of its defenders and conquerors that have evolved and moulded this fine nation. 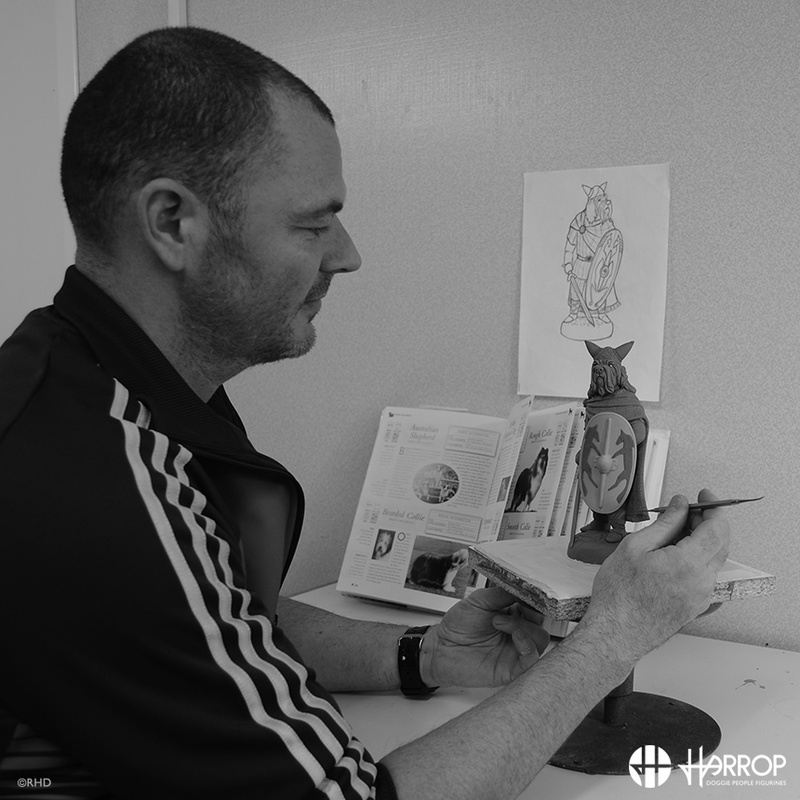 We will be choosing our breed cast very carefully making sure that each pieces harbours a true sense of irony bringing each piece to life. 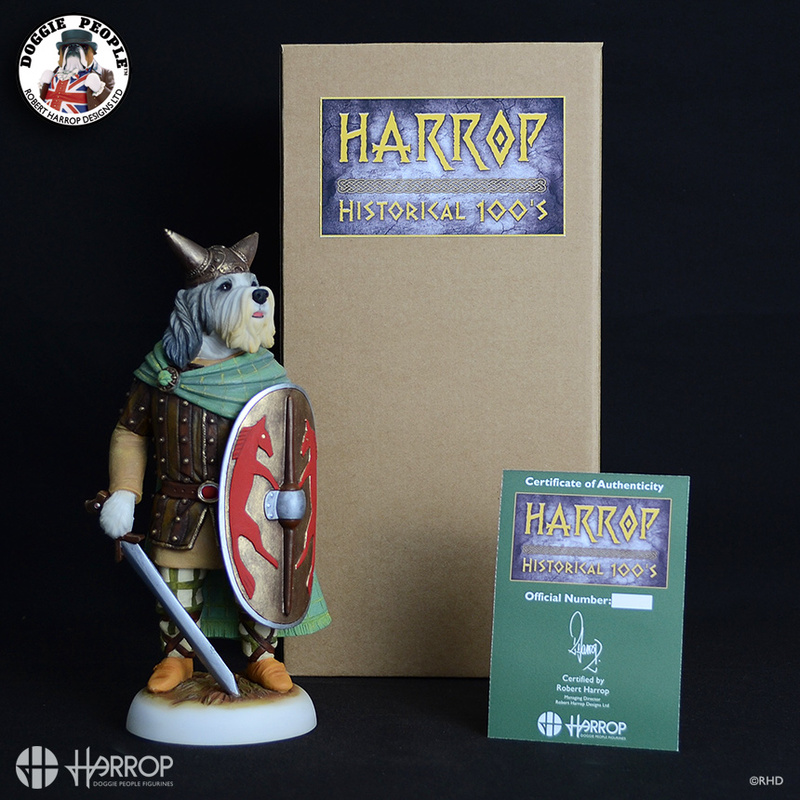 Initially we are now happy to announce that the first in our special Harrop Historical 100 Limited Edition Series is now available to order beginning with our unique creation of a Bearded Collie as King Caractacus who stealthily harried the Roman invaders at every turn and later in the month with 'Gruagach the Hairy' our Old English Celtic Standard Bearer. 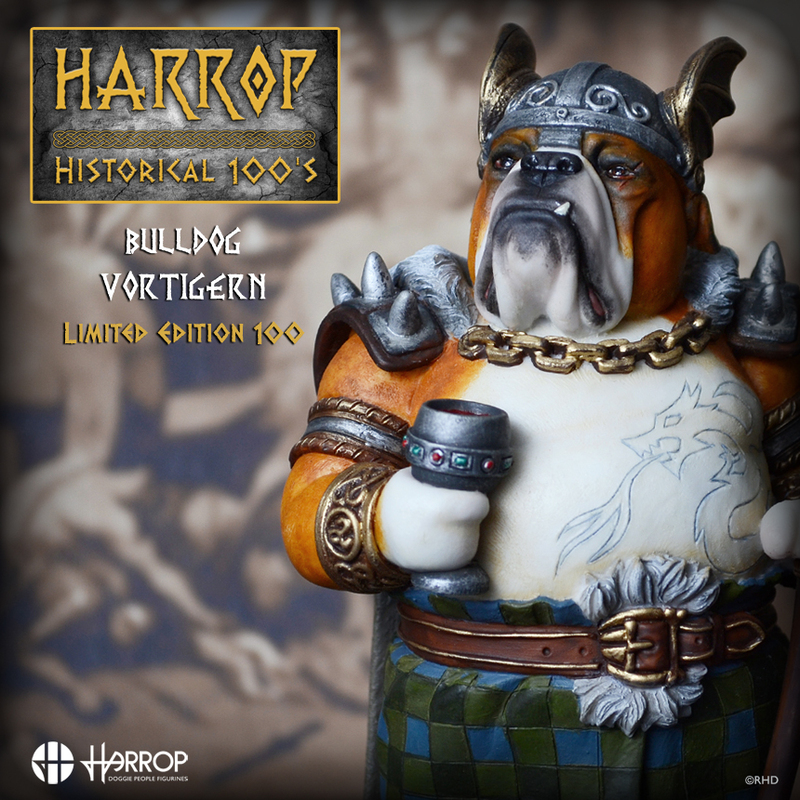 Following from this pair of Britons we will be releasing also as Harrop Historical 100, Hengist the Angle, or rather our 'Anglish Bull Terrier', whom along with his brother Horsa, represent the beginnings of English Saxon rule from 449 AD. 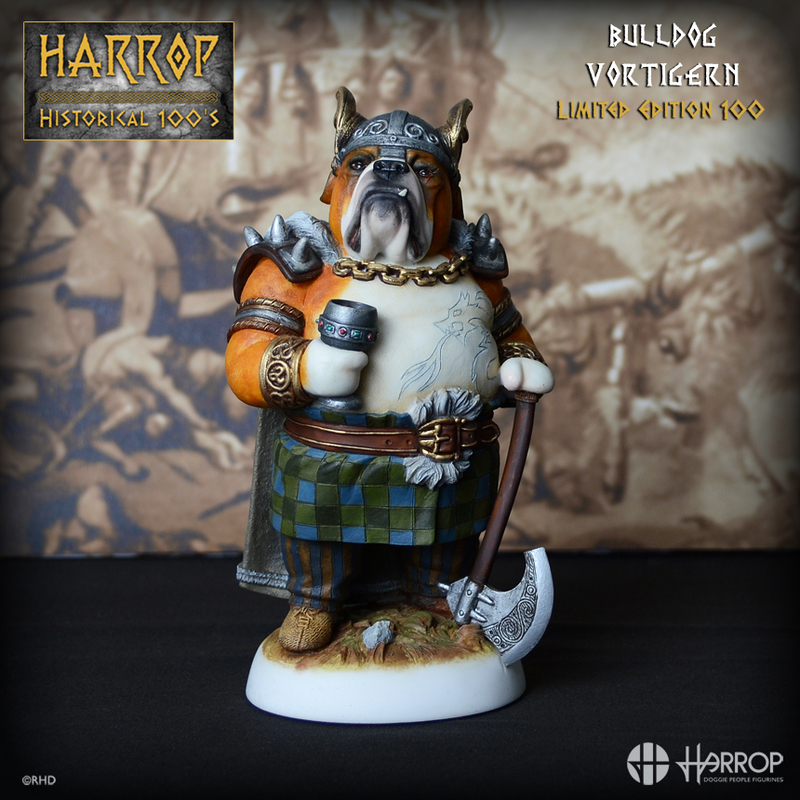 Not forgetting the mighty 'Britonish' Bulldog who with be in full Battle King Regalia as Vortigern the last powerful Briton before the grip of the Saxons began to close its grip. 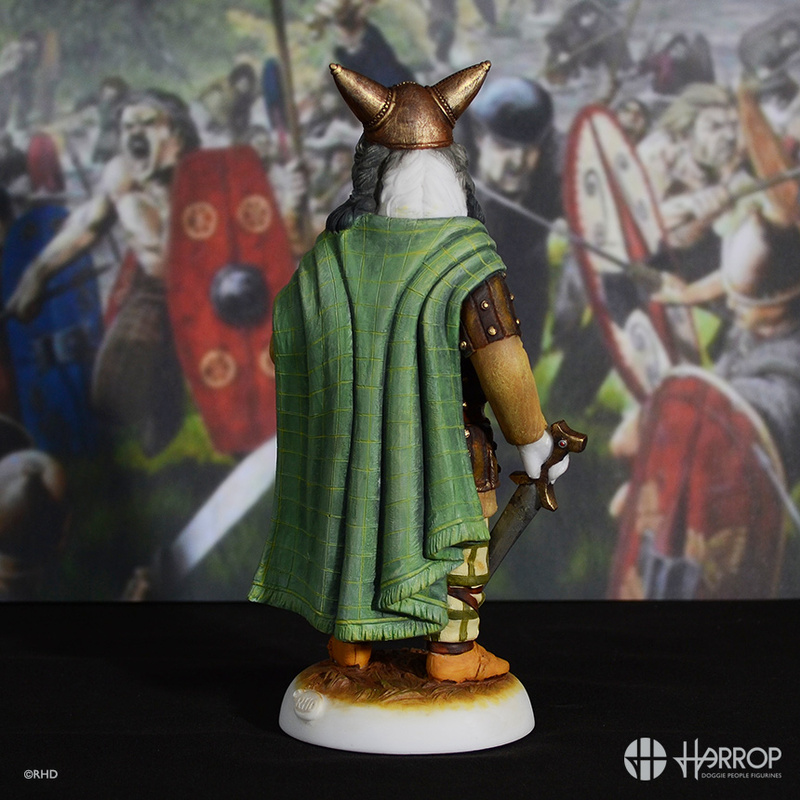 The script for this series is incredibly exciting indeed and will cover Romans, Vikings and also the Normans who were huge players in our history. 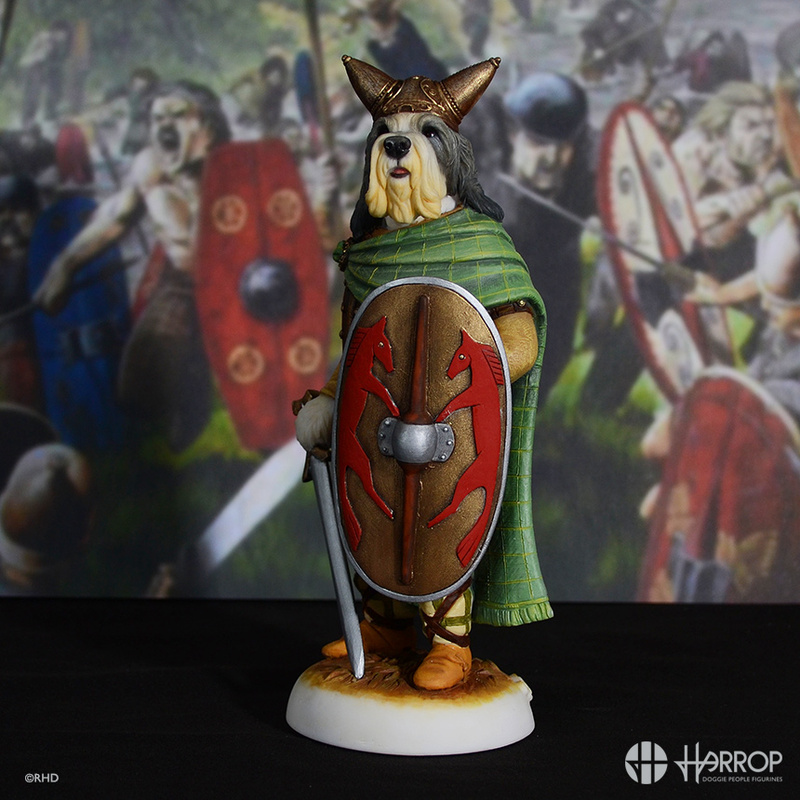 A Limited Edition Hand-painted figurine / statue from the Doggie People Collection. 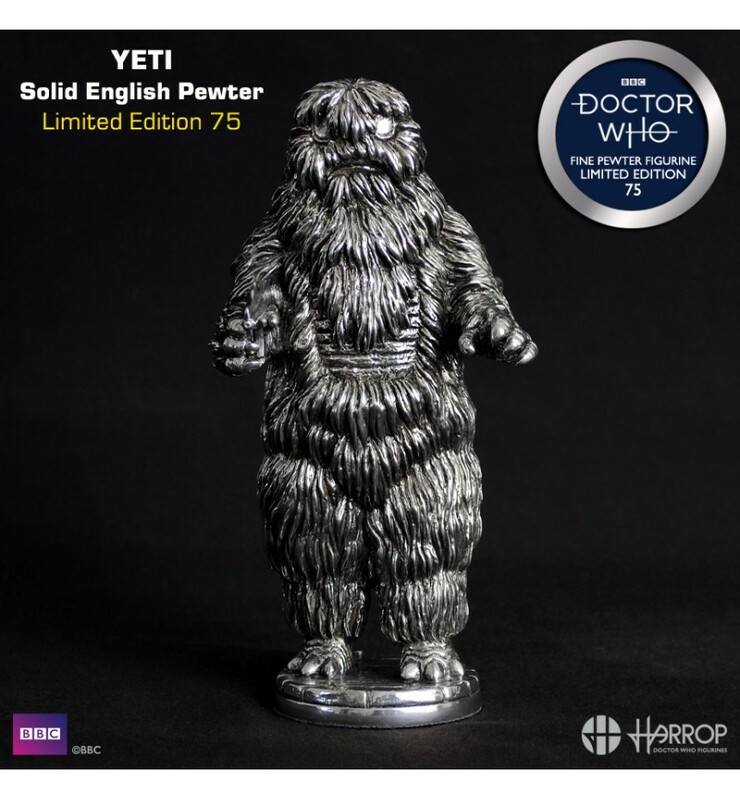 Approximately 200mm (8 inches) tall. 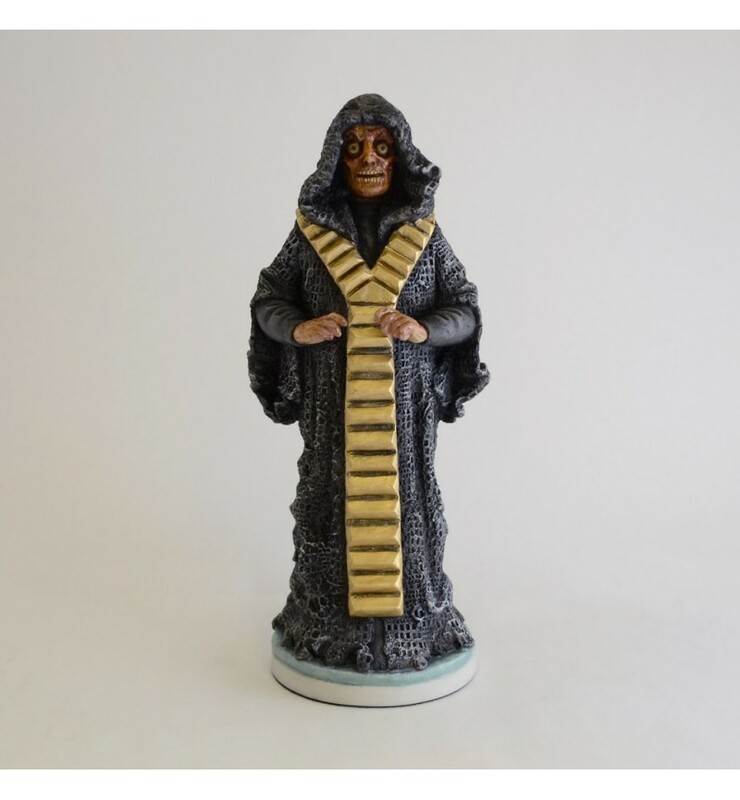 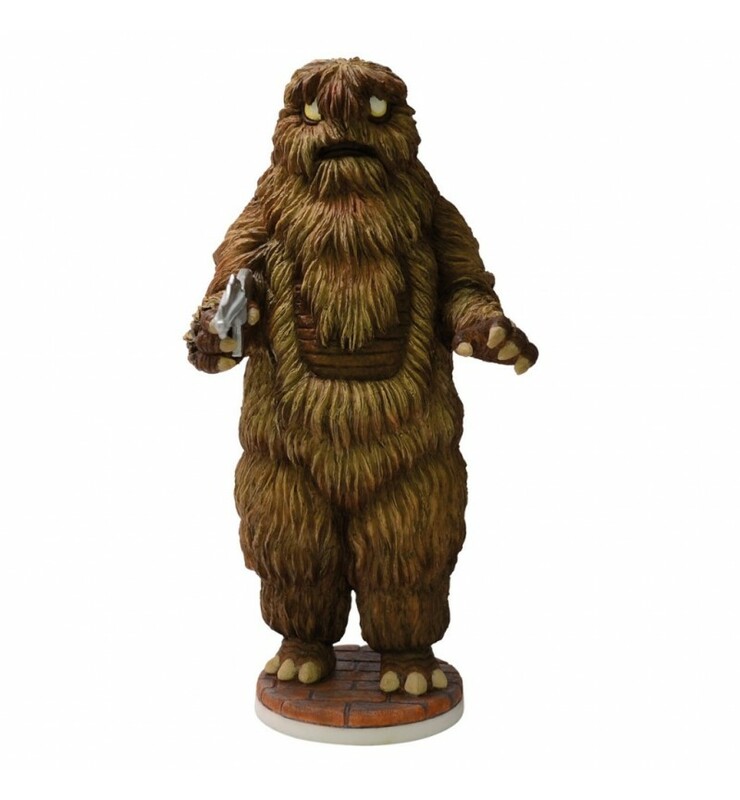 A Limited Edition of Only 100 Figurines Worldwide. 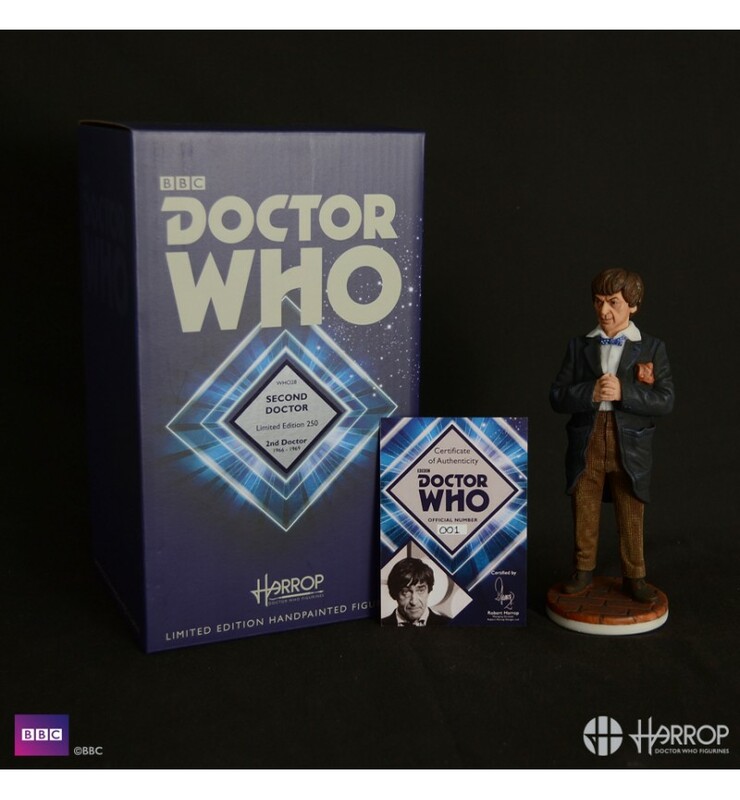 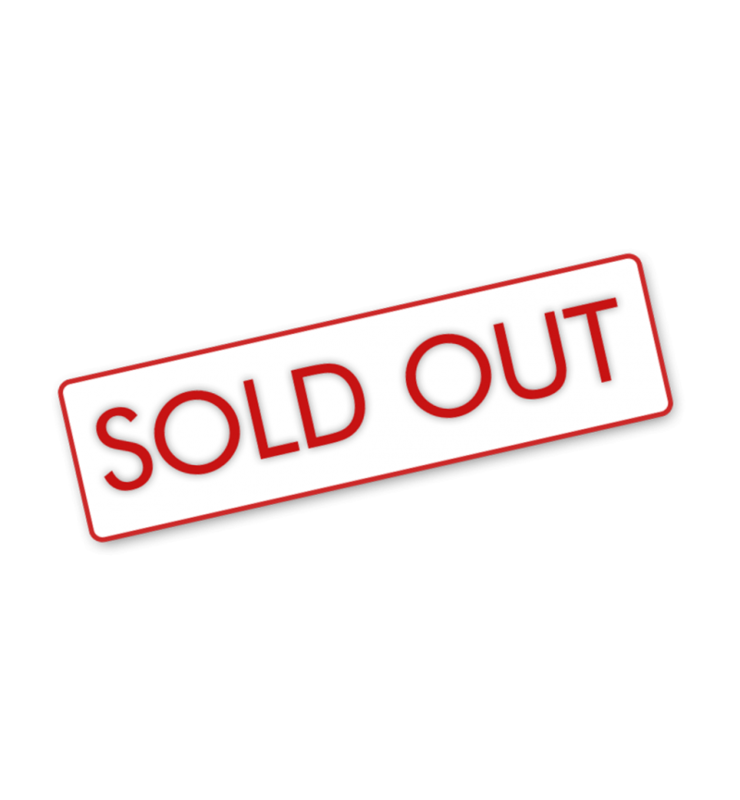 Comes complete in a presentation box with information card and Certificate of Authenticity. 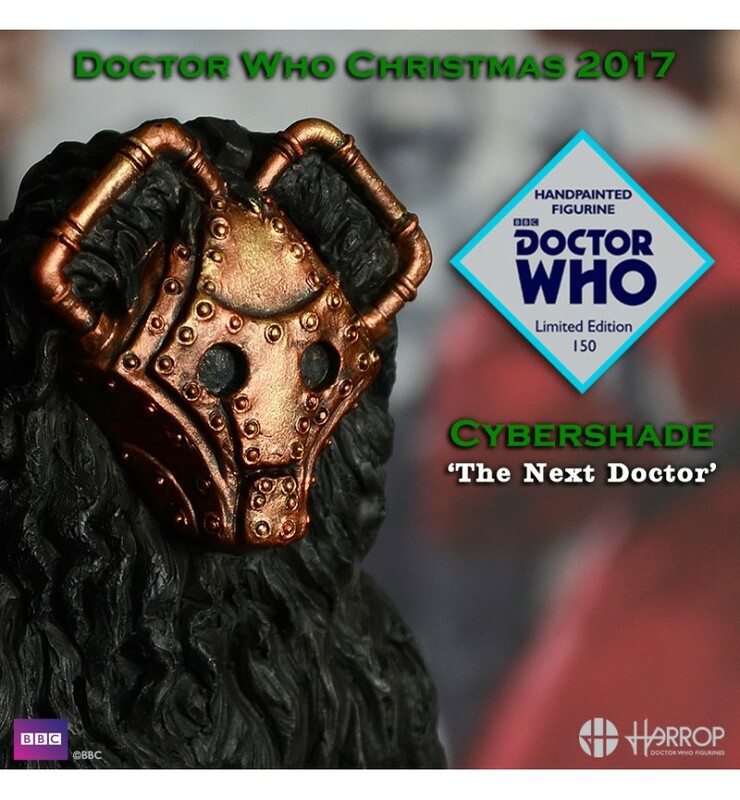 Doggie People © & TM Robert Harrop Designs Ltd 2017.